When manually lifting heavy objects, regardless of whether it is at home or at work, it is essential that it is done correctly in order to avoid serious injury or damage to the back. Once a person’s back has been injured they are far more susceptible to suffer from further back injuries and related problems in the future. Quite often back injuries occur when lifting, this is because people underestimate the weight of the object in question or the level of strain which it will place on the back. In order to avoid the occurrence of these accidents it is important to understand how to safely lift objects manually. In order to do this Handling Equipment Online has provided an instructional guide. Prior to lifting the object it is important to identify whether there are any grips or handles which can make a huge difference. In addition, it is important to notice how the object is positioned, whether it is at an angle, on the floor or table etc. Once the position of the object has been established then the objects movement once lifted can be better judged. When manually lifting objects it is important to get as close to the object as possible. In addition, the feet should be shoulder width apart. When lifting the abdominal muscles should be tensed in order to provide a strong core. Do not attempt to lift the object straight away. Instead it is important to test the weight of an object prior to lifting it. In order to do this lift two of the objects corners and allow it to tilt, this will provide an accurate feeling of the weight of the object. 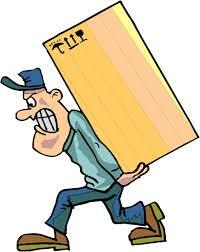 When lifting the object do not lean directly over the object or pick it up using only the back muscles. This is exactly how back related injuries occur when manually lifting heavy objects. A good stance involves squatting down with a straight back with feet kept close to the object at all times. Once in the squatting position with a straight back, it is time to lift the object. The back should be kept straight, then using the leg muscles, instead of those in the back, slowly begin to stand up, whilst holding the heavy object which is being manually lifted. Be sure to stand up slowly, as lifting the object in one sharp jerk can also result in substantial injury. This entry was posted in Health & Safety and tagged manually lifting on December 23, 2013 by admin.